This chart shows the various blood types and their frequency in the U.S. population. The cellular elements, red blood cells, white blood cells and platelets – make up about 45% of the volume of whole blood. Plasma, which is 92% water, makes up the remaining 55%. Blood and its components have many uses. Hospitals stock some of the more common blood components used in emergencies, but usually blood products are not ordered until they are needed. They are kept at the Rock River Valley Blood Center until a hospital orders them. 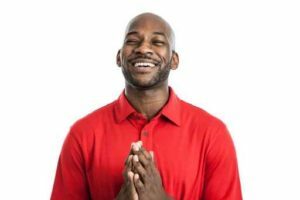 Red cells can be used for 42 days after they are donated. They are used in the treatment of accident victims, to replace blood lost during surgery, to treat burn victims and to increase the blood’s oxygen-carrying capacity. They are also used in the treatment of anemia that can’t be medically corrected. Platelets are stored separate from other components and must be used in the five days following the donation. They are commonly used to treat bone marrow failure, leukemia and cancer patients, low platelet count or other conditions causing abnormally functioning platelets. Plasma has a much longer shelf life and is often frozen for later use. Once thawed, plasma is used during cardiac surgery, for burn victims, and to treat bleeding disorders. For example, bleeding disorders can occur in liver failure, when too much of a blood thinner has been given or when severe bleeding and massive transfusions result in low levels of clotting factors. Factor VII concentrate is used in the treatment and prevention of bleeding episodes. Factor VIII concentrate and cryoprecipitate are used by patients with hemophilia A (classic hemophilia), which is caused by a deficiency of factor VIII. Cryoprecipitate is prepared from plasma and contains fibrinogen, von Willebrand factor, factor VIII, factor XIII and fibronectin. Factor IX concentrate is used by patients with hemophilia B (“Christmas disease”), which is caused by a deficiency of clotting factor IX. A transfusion is a procedure that replaces the blood lost by a patient with the blood of a generous donor like you! After you give your blood, while you’re snacking on cookies and showing off your arm wrap, your blood begins its journey to save lives! Through one donation, you can help save as many as up to 3 lives. No wonder RRVBC donors and volunteers feel so amazing. And, who ever thought saving lives could be this easy? 01. Anyone in good health, at least 17 years old (or 16 years old with parental consent – click here for consent form), and at least 110 pounds may donate whole blood every 56 days. 02. 4.5 million American lives are saved each year by blood transfusions. 03. 40,000 pints of donated blood are used each day in the United States. 04. Someone needs blood every two seconds. 06. Up to 3 lives are saved by one pint of donated blood. 07. 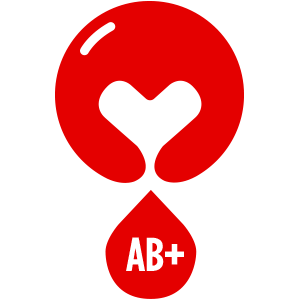 Between 8-12 pints of blood are in the body of an average adult. 08. One unit of blood is ~525 mL, which is roughly the equivalent of one pint. 09. A newborn baby has about one cup of blood in his body. 10. The average transfusion patient receives 3 units of red blood cells. 11. 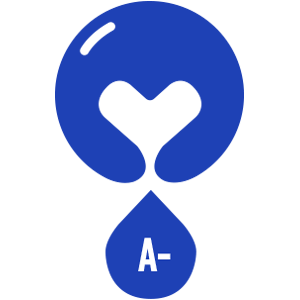 A, B, AB and O are the four main types of blood types. 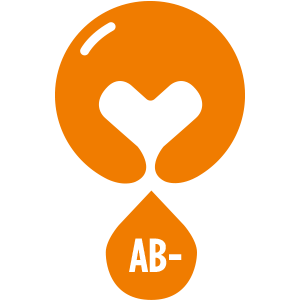 AB is the universal recipient, O negative is the universal donor. 12. 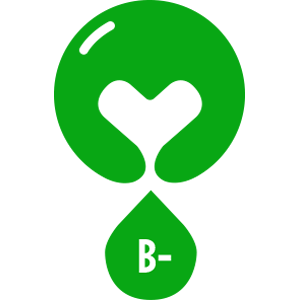 Blood centers often run short of types O and B blood. 14. The actual blood donation usually takes less than ten minutes. The entire process from the time you sign in to the time you leave takes about an hour. 15. Giving blood will not decrease your strength. 17. Red blood cells carry oxygen to the body’s organs and tissue. 18. There are one billion red blood cells in two to three drops of blood. 19. Platelets support blood clotting and give those with leukemia and other cancers a chance to live. 20. The shelf life of donated red blood cells is 42 days. 21. The shelf life of donated platelets is five days. 22. 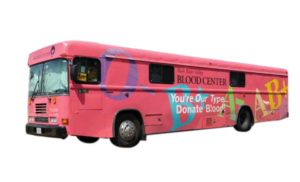 Car accident and blood loss victims may need transfusions of 50 pints or more of red blood cells. 24. Severe burn victims may need 20 units of platelets during their treatment. 25. 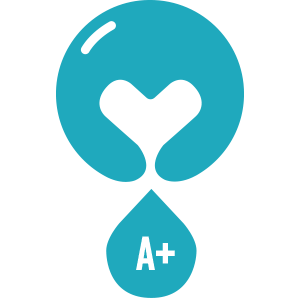 Children being treated for cancer, premature infants and children having heart surgery need blood and platelets from donors of all types. 26. Cancer, transplant and trauma patients, and patients undergoing open-heart surgery often require platelet transfusions to survive. 27. 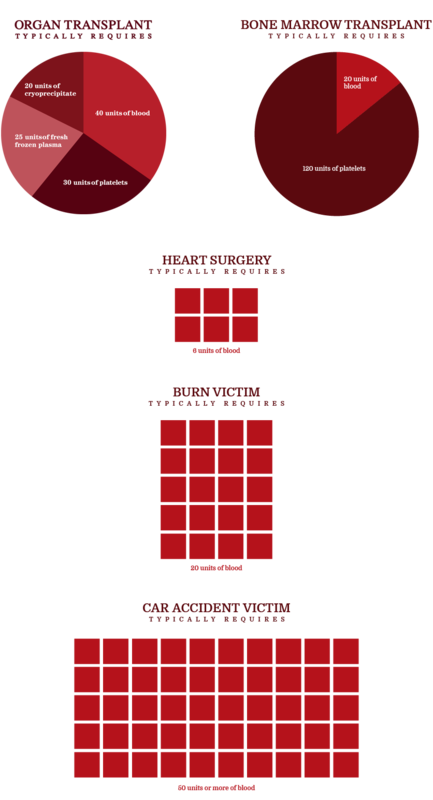 500,000 Americans donated blood in the days following the September 11th attacks. 28. 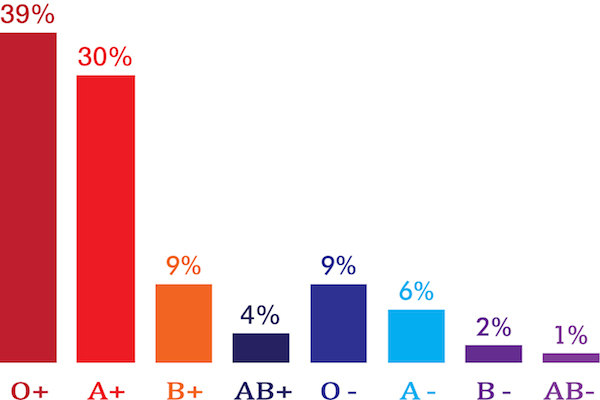 94% of blood donors are registered voters. 29. Bone marrow transplant patients can use up to 120 platelets and red blood cells from about 20 people.